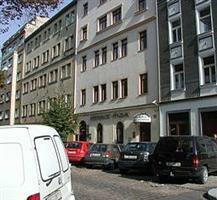 Enjoying a peaceful location in this vibrant city, the Rezidence Vitkova offers visitors affordable apartment accommodation in Prague within easy reach of many tourist attractions. Providing all the quality of an international hotel, with the personal care and attention of an intimate guest house, the property is a superb base to call home for your business trip or recreational holiday in the capital of the Czech Republic. The friendly and enthusiastic staff are available 24-hours a day, and will be delighted to furnish you with local information and advice. Whether you are here to explore the beautiful historical sights and monuments, to enjoy a romantic city break or to flex your credit cards in the plethora of shops, you have a welcoming ambience to return home to at the end of the day. The cosy bar is the perfect spot to relax with a coffee or a chilled beer and to socialise with your fellow guests, and if you have work to do, you will find telephone, fax and Internet services provide additional convenience. Secure parking is available near to the property, and the building also features a lift.